Last week, the British Medical Journal (BMJ) published an expose by investigative journalist Brian Deer that enumerated in detail the specifics of how a British gastroenterologist turned hero of the anti-vaccine movement had committed scientific fraud by falsifying key aspects of case reports that he used as the basis of his now infamous 1998 Lancet article suggesting a link between the MMR vaccine and a syndrome consisting of regressive autism and enterocolitis. Indeed, Deer even went so far as to describe Wakefield’s fraud as “Piltdown medicine,” comparing it explicitly to the infamous “Piltdown man” hoax, and in an accompanying editorial the editors of the BMJ agreed. These revelations were not by any means new. Scientists had suspected that something wasn’t quite right about Wakefield’s work almost as soon as it had been published, and by 2004 Brian Deer had uncovered clear evidence of major undisclosed conflicts of interest on Wakefield’s part. Unfortunately, by that time the proverbial cat was out of the proverbial bag, and Wakefield’s fraudulent research, aided and abetted by his flair for self-promotion in the media and some truly execrable, credulous, and sensationalistic coverage by the British press, had ignited a major scare over the MMR vaccine. MMR uptake rates plummeted below levels necessary for herd immunity, and measles came roaring back with a vengeance in the U.K. By the time the British General Medical Council finally ruled about a year ago that Wakefield had committed research fraud and violated research ethics in the work reported in his 1998 Lancet article and recommended that he be “struck off” (i.e., have his license to practice medicine in the U.K. revoked), the damage had been done. As important as Wakefield is to the genesis of the modern anti-vaccine movement, however, there is another force that acts far more “where the rubber hits the road,” so to speak. This force comes in the form of publications and online discussion forums that cater to new mothers, offering all manner of advice and support. Some of these are very good, but all too many of them are hotbeds of anti-vaccine pseudoscience, confidently proclaimed by “elder statesman” members of these forums and included in articles published in glossy, attractive magazines. As a rather ironic coincidence, just as news of Andrew Wakefield’s latest humiliation was finding its way out into multiple news outlets last week, the first issue of 2011 of just such a glossy publication hit the shelves. I’m referring to Mothering, whose tagline is “Inspiring Natural Families Since 1976.” In reality, it should read: “Inspiring quackery and anti-vaccine views since 1976.” Of course, in the world of “alt-med,” the two often go hand-in-hand. In any case, one of our readers sent me a link to the latest issue of Mothering. Unfortunately, I can’t supply you with that link, because it’s for subscribers. I will, however, describe and quote articles and passages that demonstrate just what a wretched hive of scum and quackery Mothering is, particularly with respect to vaccines but not limited to vaccines. Taking into account its large and vigorous online forums, Mothering is major force for the promotion of anti-vaccine views and quackery among new mothers. 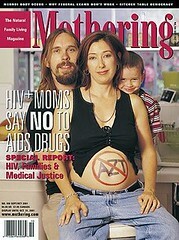 The cover of the January/February 2011 issue of Mothering asks, Whooping Cough: Is Your Family At Risk? Should You Vaccinate?, complete with the mandatory cute photo of a cherubic infant to drive home the point of how important these questions are. Now, it’s very tempting for me to cite the science-based answers and emphasize that the answers are yes and YES!, but, as you might imagine, that’s not exactly what Mothering advocates. Far from it. Lauren Feder, MD, specializes in homeopathy, pediatrics, and primary-care medicine. Known for her holistically minded approach, Dr. Feder is a frequent lecturer to parents and professionals. She is the author of Natural Baby and Childcare and The Parents’ Concise Guide to Childhood Vaccinations. Her website is www.drfeder.com. Drosera for violent coughing spells ending in choking, gagging, or vomiting. Sometimes these coughs are so strong that the child can hardly catch her breath. Drosera is indicated for barking coughs, whooping cough, croup, and coughs that are worse after midnight, commonly accompanied by a bloody nose and a hoarse voice. Spongia tosta for dry coughs that sound like a saw going through wood; often used for croup. Useful for croupy coughs that are worse before midnight, accompanied by a dry, barking cough that can sound like a seal. In an attempt to use a more natural preventive approach, I prefer a different course of action. With any vaccination, I recommend administering the following vitamin and herbal remedy seven days before and after the shot, to generally strengthen the body. They may also help reduce any side effects of the vaccine. Remember, your child should not receive a vaccination if she is cranky or ill. At our office, we prefer that, when possible, people take only one vaccine at a time. Contact your practitioner if unusual symptoms occur following the shot. You can use this protocol in conjunction with any other medications you give your child. Briar Rose This gemmotherapy herb is a general immune strengthener. Vitamin C Less than two years old, 100 milligrams, twice daily; two years and older, 250 mg twice daily. She also recommends five homeopathic remedies be given before and after the shots, depending upon which remedy. Hilariously, she recommends giving three pellets of homeopathic DTaP 30C once a week for three weeks, beginning the day of the vaccination. She recommends the same thing for the Hib vaccine, homeopathic Hib given the same way. One wonders why Dr. Feder would even acquiesce to giving the vaccine if homeopathy is so great. Thus far, the worst case of pertussis I’ve seen was in an eight-month-old girl who was hospitalized for a few days despite having had two DTaP shots. Following the hospitalization, the patient and her family came to my office for homeopathic treatment to expedite her healing. Now she is fine. The pharmaceutical industry has not earned my trust. They have promoted ineffective drugs and other medicines that they knew had dangerous side effects. They have paid many physicians to ghost-write “in-house” research, and then to speak and write about the benefits of these same medications. Even if I believed that vaccines were the greatest invention in medical care—and I do not—I would still argue that the way they’re manufactured and given to children is not anywhere near as safe as it could be. Evidence that the way vaccines are manufactured and given to children is not anywhere near as safe as it could be? None is presented by Dr. Jay. As I’ve said before, Dr. Jay clearly holds many anti-vaccine views, as defined thusly. Also featured in the Jan./Feb. 2011 issue of Mothering is an article by — holy crap! — Barbara Loe Fisher, the Founder and President of the anti-vaccine group the National Vaccine Information Center (NVIC). Arguably, BLF is the grande dame of the current iteration of the anti-vaccine movement, having started her activism in the 1980s. In it, she regurgitates the same sorts of arguments that we’ve heard time and time again. In particular, she is upset that recent pertussis outbreaks have been linked to the unvaccinated, pointing out that rates of vaccination for pertussis are very high. That’s true when one looks at the overall population, but BLF neglects to note that there are pockets with high numbers of unvaccinated children that provide a nidus for outbreaks to occur because herd immunity has broken down, as Joe Albietz, Mark Crislip, and Steve Novella have discussed, while Dr. Albietz has discussed the complexities of the recent whooping cough epidemic in California. While it is not clear how much of the current outbreaks in California are due to low vaccine uptake rates versus other factors, it is clear that vaccination against pertussis is safe and effective, the attempts of Dr. Feder, Dr. Gordon, and BLF to paint it otherwise notwithstanding. Mothering magazine has been a hotbed of anti-vaccine rhetoric as long as I’ve been aware of it, which has been around six years now. Worse, as I pointed out earlier in a post from two years ago about the death of HIV/AIDS denialist Christine Maggiore of what appears all the world to look like a case of terminal AIDS, Mothering has supported HIV/AIDS denialism. Indeed, Maggiore was featured on the cover of an issue of Mothering several years ago when she was pregnant, her pregnant belly emblazoned with the word “AZT” in a circle with a slash through it. The issue featured Maggiore in an article entitled Safe and Sound Underground: HIV-Positive Women Birthing Outside the System. Other articles published in Mothering about AIDS include Molecular Miscarriage: Is the HIV Theory a Tragic Mistake?, AZT Roulette: The Impossible Choices Facing HIV-Positive Women, HIV and Breastfeeding: The Fear. The Misconceptions. The Facts. (of which only one out of three was correct, namely the fear), and AZT in Babies: Terrible Risk, Zero Benefit. So, in addition to irresponsible and non-science-based recommendations about vaccines, Mothering promotes irresponsible and non-science-based recommendations about HIV very similar to the misinformation that led Christine Maggiore and her daughter to their deaths. Hundreds of thousands of people in South Africa have died following this sort of advice. Posting to this forum will not be restricted only to members who do not vaccinate. However, we will actively restrict conversations in favor of mandatory vaccination or other topics that would be inappropriate for the forum. This is not a place for debate or discussions on the merits of vaccines or the dangers of not vaccinating, it is also not a place to argue against vaccines or selective and delayed vaccination schedules. Such discussions are already hosted in the main Vaccinations forum and posts in that vein are most welcome and appropriate there. This forum is not a place to argue against selective or delayed vaccination or debate vaccination in general. Such discussions are already hosted in the main Vaccinations forum and posts in that vein are most welcome and appropriate there. Our purpose for this forum is to provide information that is helpful for parents who have made the decision to vaccinate and are not seeking discussion against their decision but rather support and information to help them proceed in the best manner. Please respect this and post at all times with this in mind. MotheringDotCommune is a community forum geared toward parents interested in Natural Family Living. On the issues of vaccinations we believe in informed consent. This means we look at both sides of the vaccine issue. However, one of our objectives, and for which members and guests come to our forum, is to bring to light the information that is not mainstream and readily available. Recently, we have seen several members join MDC who seem to have an agenda to promote vaccinations. Though Mothering does not take a pro or anti stand on vaccinations, we will not host threads on the merits of mandatory vaccine, or a purely pro vaccination view point as this is not conducive to the learning process. We will be contacting several members to discuss their sincerity on MDC. In the meantime, we are asking our members not to quote from this notice or address members within a thread as this is strictly prohibited. Instead, contact a forum moderator or administrator if you are concerned about a post and we will take appropriate action if need be. We embrace all parents, regardless of their choice. We uphold the Vaccinations forum as a place where they can come and discuss all aspects of all vaccinations, and find support in their desire to make an informed decision to not vaccinate, to vaccinate, to selectively vaccinate, or to delay vaccinations. We expect and insist that all members post here with an open mind and a willingness to learn — even from the new member. There should be an understanding that a large number of Mothering community members are against vaccinations so when you do come here to post to ask your questions, and you have an intention to vaccinate, members here will feel a need to inform you of the concerns about vaccinations. While no one should be labeled as irresponsible or uninformed for deciding to vaccinate, neither should parents here who have chosen to not vaccinate be accused of irresponsibility, not caring for their child, or presenting a threat to others. That said, we will not tolerate new members who come to this forum with a focused agenda. Here’s how this issue boils down for me. In the grand scheme of things, I don’t care if this Wakefield guy falsified data. I don’t care if the study was good. I don’t even care if vaccines contribute to autism or not. I STILL will not vaccinate my children, for plenty of other reasons. Autism is not my only reason. And I am so sick of the media and the so-called “experts” out there telling the public that we crazy non-vac parents don’t vaccinate only because of autism. And now that the study is false, we can all just vaccinate our kids again. And everything will be great. UGGGG. Mercury seems to be getting tons of coverage. When that deal is settled and we win, we need to go after another ingredient. We’ll dismantle the vaccine industry ingredient by stupid ingredient if we have to. Eh, every time we win on one though, they’ll just throw another creepy ingredient in. Yeah, what about aluminum? Formaldehyde is a carcinogenic. It boggles my mind that some people are ONLY worried about mercury when even without mercury they still contain carcinogenics and nuero/blood toxins (oh and antibiotics in some.) Yummy. This is the sort of the sort of antivaccination rhetoric that “vaccine safety proponents” try to hide from view. These mothers claim they are not “anti-vaccination,” and probably most of them honestly believe that they aren’t. However, right beneath the surface of all their attacks on mercury, just out of sight to the casual observer, full-blown antivaccination paranoia and conspiracy theories lurk, and certainly their “anti-mercury” advocacy provides aid and comfort to those who have more global problems with vaccination. The bottom line is that MDC is anti-vaccine to the core.The few brave souls who try to post science-based information will rapidly find themselves under attack from a swarm of anti-vaccinationist cyber sisters. If they persist after being “informed” of the forum’s guidelines or “counseled,” they will be rapidly banned by the forum moderators. Mothering and Mothering.com claim to be all about “informed consent” when it comes to vaccination, alternative medicine, “alternative” childbirth practices such as the various forms of “natural” childbirth, and even homeopathy. They are in reality about misinformed consent in that the risks of vaccination are grossly exaggerated, while the severity and danger of the diseases vaccines protect against are minimized, as are the ability of vaccines to protect against these diseases. Thrown into the mix are articles like Dr. Feder’s, which “informs” readers that, while pertussis is bad it’s really not that bad, that the vaccine isn’t so good, and that homeopathy can be used to treat pertussis. In other articles, readers are “informed” that there is doubt over whether HIV causes AIDS, whether AZT can decrease the transmission rate of the virus between HIV-positive mothers and their children, and whether antiretrovirals can prevent the progression of HIV to AIDS. In still other articles, parents are told that they can manage colds, asthma, the flu, earaches, and lots of other conditions with homeopathy. Perhaps the best example of “misinformed consent” found in Mothering.com can be found at this link to Vaccine Safety Awareness. Right there is a “Physician’s Warranty of Vaccine Safety” that plays the “toxin” gambit and demands in essence absolute safety from vaccines. Elsewhere, prominently featured is a link to the monthly VAERS Report. Never mind that VAERS is a database to which anyone can report an adverse event after vaccination, whether the event is related to vaccination or not. Worse, VAERS is highly subject to publicity. Indeed, trial lawyers have in the past gamed the database by encouraging their clients to report that vaccines caused their children’s autism. Amusingly, a parent by the name of Jim Laidler entered a report into VAERS that a vaccine turned him into the Incredible Hulk, and Kev Leitch did the same in a report claiming that the flu vaccine turned his daughter into Wonder Woman. The point is that anyone can enter a report, and there is no verification that the adverse event reported is actually due to vaccination. VAERS has the potential to be useful as a sensitive “early warning” system that could alert health officials to a problem, but it is useless for estimating actual rates of vaccine injury, and the ease with which it is gamed diminishes its usefulness even as an early warning system. In fact, the entire Vaccines section of Mothering.com is full of dangerous misinformation. For example, chicken pox parties are recommended, even though as a result of the party described one child had the “worst case his doctor had ever seen,” with “hundreds of lesions, even in his mouth and down his throat.” Another article, entitled Poison in our vaccines, played the toxin gambit in huge, bold letters. ADDENDUM: More on Mothering can be found here. Also….Surprise! Surprise! Mothering has a fawning interview with Andrew Wakefield featured in a recent podcast.